This generator in dry form with no oil or fuel weighs nearly 172Kgs to help substantiate its quality and durability. 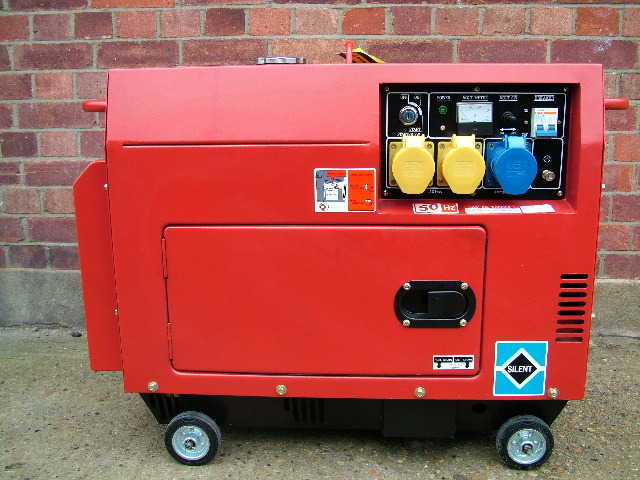 We can also supply both the 32amp 110 male sockets and the 32 amp 240v socket for this generator. Please enquire if you need these. We can now offer a build up and shake down service for ?15.00. Fill with oil, put some diesel in, fire up till warm and make sure everything works 100%. This is highly recommended as is best to have this done with a product your not familiar with. Please click the following link to purchase this service with your order. All problems encountered with this generator have been caused by the end user not being familiar with the commissioning of it. This can now be totally alleviated. Please read the following. Please provide your customer's telephone number(s) for the courier.